Mahavir Jayanti is a big day for the ardent devotees of Jainism in India. They spend time with their family members, assemble at the awesomely decorated Jain shrines participating in the religious affairs highlighting their reverence in a significant manner. The festivity is also known as Mahavir Janma Kalyanak or the birth anniversary of Lord Mahavira, the founder of Jainism. Apart from the traditional observations, Jains across the nation joyously send devotional Mahavir Jayanti greetings and messages with their near ones, celebrating Lord Mahavira’s birth anniversary. Since, it is the auspicious occasion, we accurately have compiled Mahavir Jayanti 2019 messages, SMS, GIF images, WhatsApp stickers, Jain festival photos to share on Facebook, Instagram and other social media platforms. We are excited to present the most unique, yet devotional Mahavir Janma Kalyanak 2019 greetings and quotes that are absolutely handy and free to download. Date, History, Celebrations, Food and Significance of Jain Festival. Lord Mahavir was believed to be the 24th and the last Tirthankara, which means saviour and spiritual teacher in Jainism, to the righteous path. According to the Hindu lunisolar calendar, Mahavir Jayanti is observed on the 13th day of the month Chaitra. This year, Mahavir Jayanti falls on April 17, and as anticipated, the search for 2019 Mahavir Janma Kalyanak wishes are already trending. 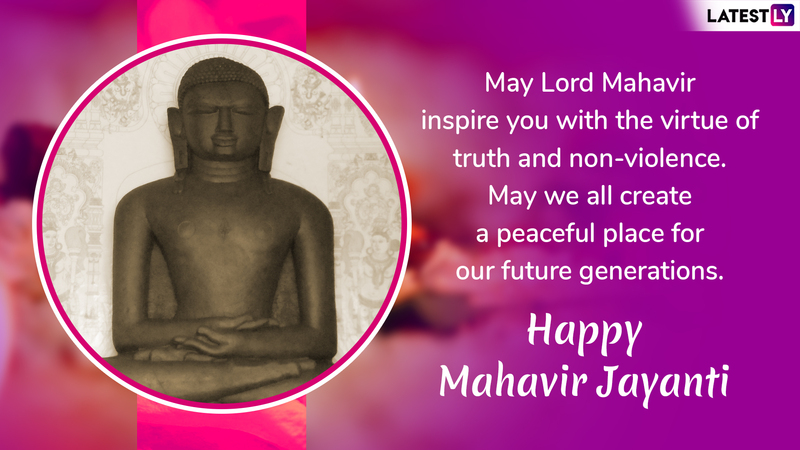 With its increasing demands, check and download the exclusive Mahavir Jayanti 2019 messages, wishes, quotes and greetings to celebrate the auspicious festival of Jainism. WhatsApp Message Reads: May Lord Mahavir Bless you abundantly and fill your life with the virtue of truth, nonviolence & external compassion. 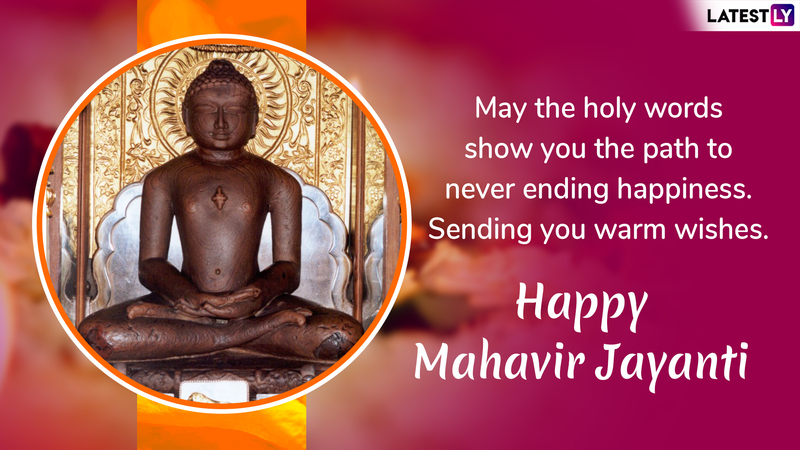 Happy Mahavir Jayanti! WhatsApp Message Reads: May Lord Mahavir inspire you with the virtue of truth and non-violence. May we all create a peaceful place for our future generations. 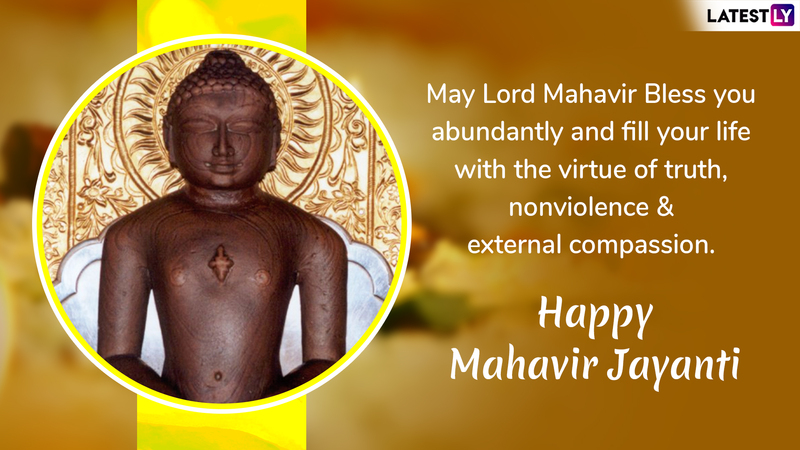 Happy Mahavir Jayanti! WhatsApp Message Reads: Cherish this festive season with the morals of Lord Mahavira and his teachings. May the morals of lord Mahavira help you to walk on the path of truth and honesty. WhatsApp Message Reads: Adopt the path of truth, knowledge and non violence. 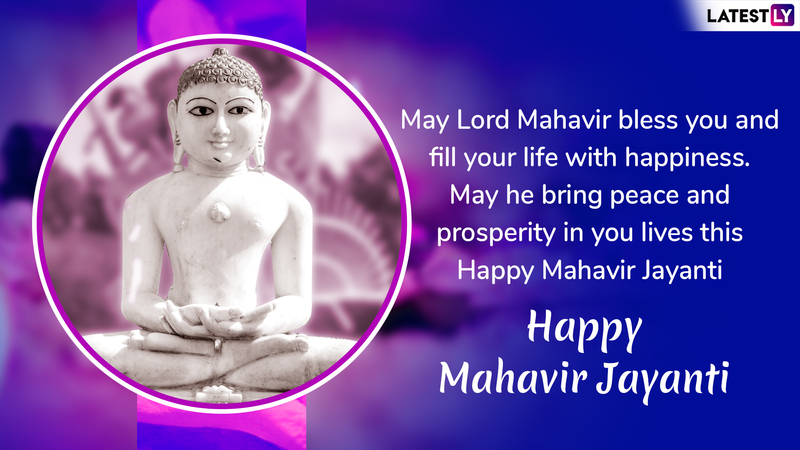 Happy Mahavir Jayanti! Technology has just saved us, in many ways, apart from the hoax and fake messages. When WhatsApp launched its stickers, the users have only gone crazy over its super fun creativity. On every occasion, WhatsApp unveils amazing sticker images for its users which they can download for free. Visit Google Play Store and click here to get Mahavir Jayanti 2019 WhatsApp stickers. The celebrations on the festivity of Mahavir Jayanti varies between communities across the world. However, devotions remain the same. 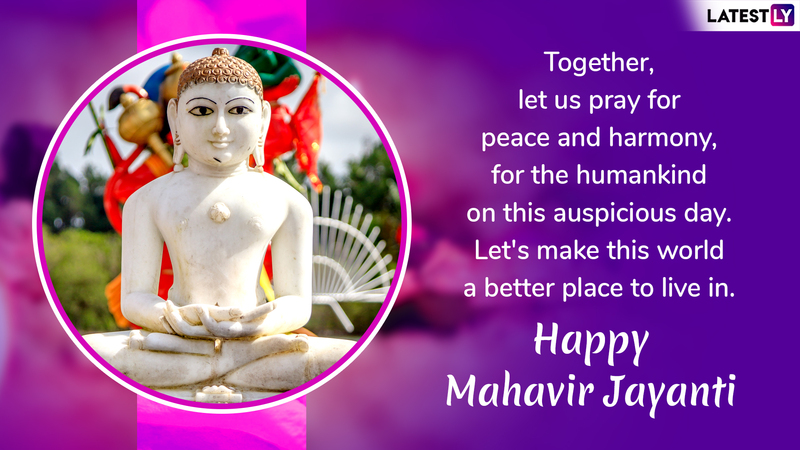 We hope that the above Mahaveer Janma Kalyanak or Mahavir Jayanti 2019 wishes will be useful for you to share with your family and friends on the auspicious occasion.